Last week my Mum gave me the original version of the Australian Women's Weekly Birthday Cake Book. 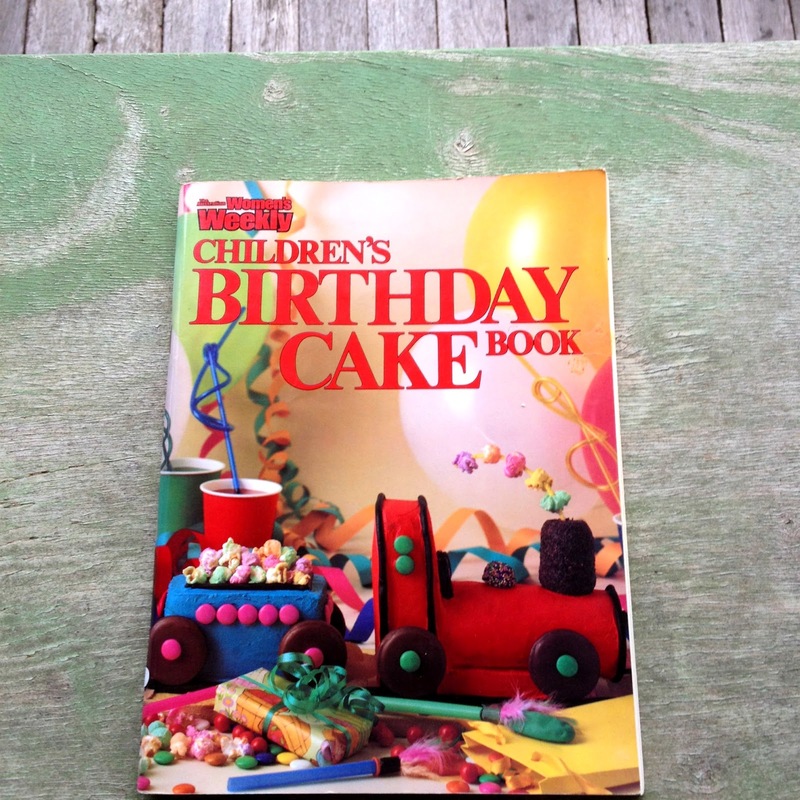 If you were a child in Australia in the 80's and 90's then there is a pretty good chance that this book was a big part of your childhood, and like me, you had some of these cakes for your childhood birthdays. They were pretty awesome back then! My Mum hunted it down at an Op Shop or garage sale or something, but I know they recently re-released the book, if you wanted to get your hands on a copy. A few months ago my brother and I went to watch a comedy show called Josh Earl vs The Australian Women's Weekly Birthday Cake book. It was hilarious, Josh Earl pointed out some pretty humorous things about the book that I hadn't even noticed before, probably because I was a child and only cared about marshmallows and rabbit shaped cakes. 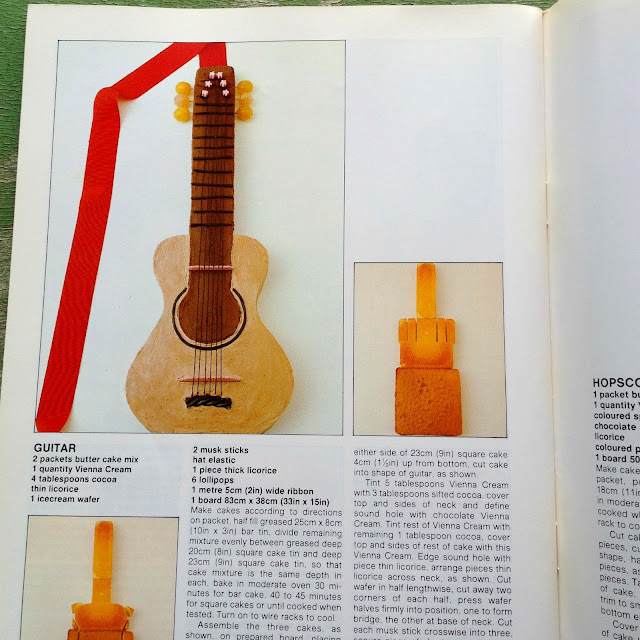 Like, how the picture of the guitar cake pre cutting and icing looks like someone giving you the finger! 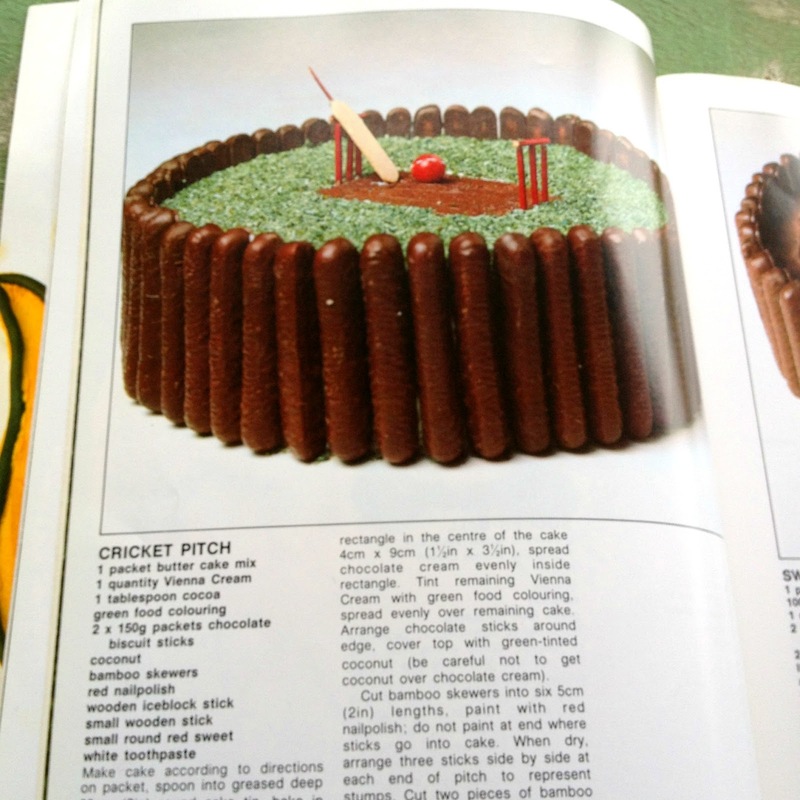 And how two of the ingredients in the cricket pitch cake are red nail polish and white toothpaste. And what the heck is with this cake? Chips for lips and popcorn for hair. 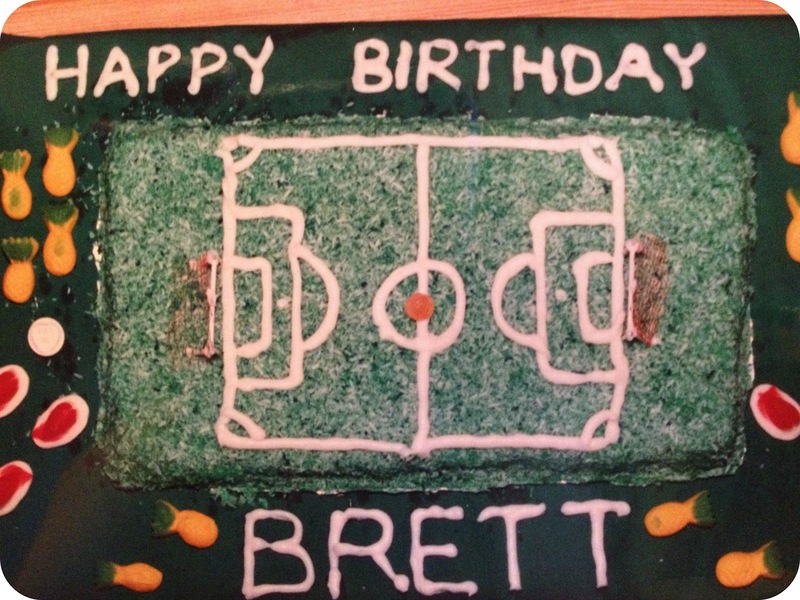 This is one of the worst looking cakes, did anyone ever get this cake for their birthday?? 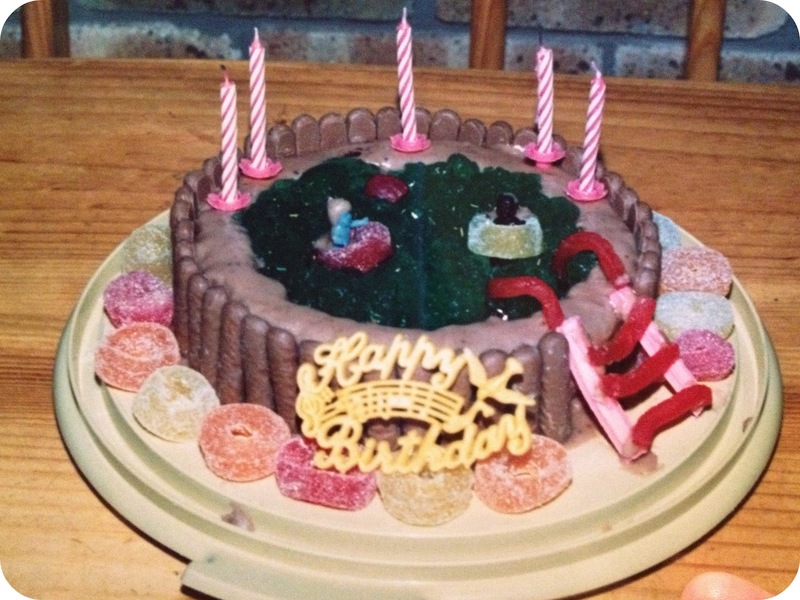 I only have a photos of a few of the cakes from the book that my Mum made us kids, I know there were many, many more. 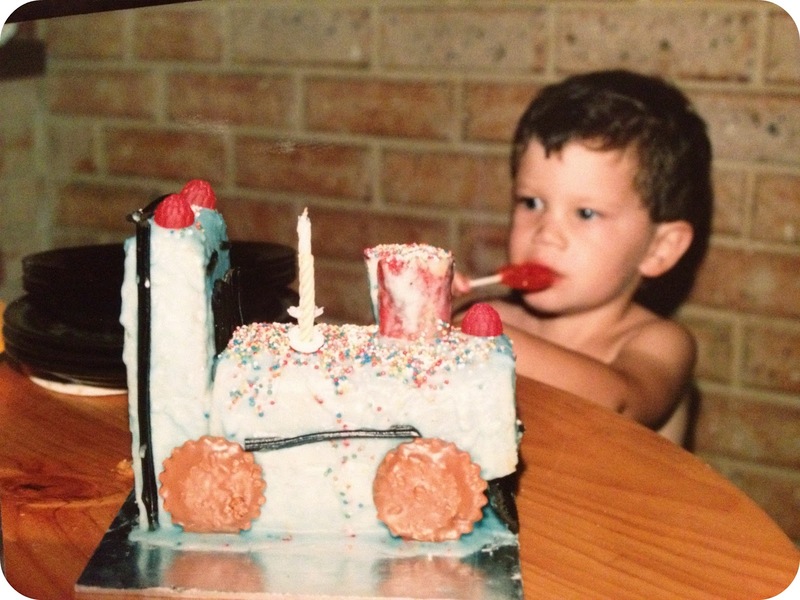 Mine was the swimming pool cake, don't ask me why the water was supposed to be green. I am debating whether I am going to try my hand at making one of these cakes for Ezra's 1st Birthday, or if I'll cop out and get one made. Does this book bring back a flood of good memories for you too? Or maybe some not so good memories? What cake did you get from the book? Or which one did you really want, but was maybe a little difficult for your Mum (or Dad) to make? 5 comments on "Women's Weekly Children's Birthday Cake Book"
Yes I totally agree, the love and effort is remembered fondly, even when the cakes didn't turn out 'perfect'!! I love this book! I have just borrowed it again from my Mum for my son's birthday in a couple of weeks. We had so many of them as kids, and my 7 and 5 year olds have had special cakes each birthday so far as well. I believe the love and effort that is put in is so much more important than a bought cake. By the way, I made the swimming pool cake a couple of years ago, and did the water blue! I love this book too Karen. Wish I'd got to see Josh Earl's show - I have seen the Train Cake song though, hilarious! 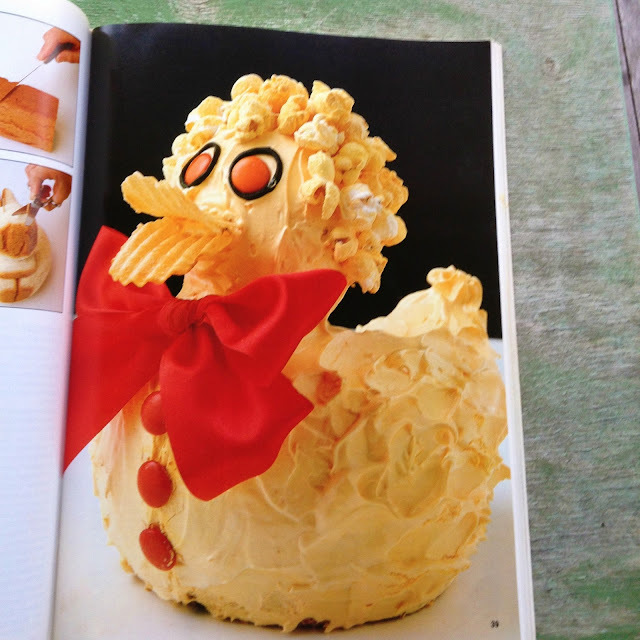 Have just been home, visiting since moving to the UK and was showing my partner this book among a few others as I grew up making things in the kitchen, but never did make anything from this book, but these are hilarious.